Haiku Contest - Come and Join In! Back in the days of my old blog (three & a half years ago!) I held a little contest where I asked people to write a Haiku about a rabbit. It was so much fun - I couldn't believe how beautiful & inspiring everyone's poems were! I thought it was high time I held another Haiku challenge, & the inspiration this time is another one of my favourite animals - the fox. The prize for this contest is from my new jewellery range, the Folk Like Us bracelet you see pictured above, which is inspired by folk art & beautiful endpaper patterns of the 1930s & 40s (& also happens to feature a little fox too). It's valued at $95 USD, & if you win, you will be the very first person in the whole world to own one, because they don't go on sale until October when I open my new online shop. 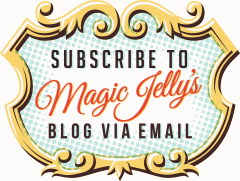 To enter, you must be a subscriber to my mailing list, so if you haven't signed up already, you can do so via the subscription form over to the right on my sidebar, or there's another form down at the foot of the blog, or a checkbox you can tick when you leave a comment. If you'd like to join in, please post your foxy Haiku in the comments - how easy is that?! I'll pick my favourite poem on Monday the 19th of September - so you have a week & a half to dust off your feather quill, put on your Haiku thinking cap & enter. I am so looking forward to reading everyone's beautiful poems!